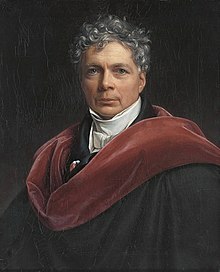 Schelling was especially close to August Wilhelm Schlegel and his wife, Caroline. A marriage between Schelling and Caroline's young daughter, Auguste Böhmer, was contemplated by both. Auguste died of dysentery in 1800, prompting many to blame Schelling, who had overseen her treatment. Robert Richards, however, argues in his book The Romantic Conception of Life that Schelling's interventions were not only appropriate but most likely irrelevant, as the doctors called to the scene assured everyone involved that Auguste's disease was inevitably fatal. Auguste's death drew Schelling and Caroline closer. Schlegel had moved to Berlin, and a divorce was arranged (with Goethe's help). Schelling's time at Jena came to an end, and on 2 June 1803 he and Caroline were married away from Jena. Their marriage ceremony was the last occasion Schelling met his school friend the poet Friedrich Hölderlin, who was already mentally ill at that time. After Jena, Schelling went to Bamberg for a time, to study Brunonian medicine (the theory of John Brown) with Adalbert Friedrich Marcus [de] and Andreas Röschlaub. From September 1803 until April 1806 Schelling was professor at the new University of Würzburg. This period was marked by considerable flux in his views and by a final breach with Fichte and Hegel. Without resigning his official position in Munich, he lectured for a short time in Stuttgart (Stuttgarter Privatvorlesungen [Stuttgart private lectures], 1810), and seven years at the University of Erlangen (1820–1827). In 1809 Karoline died, just before he published Freiheitschrift (Freedom Essay) the last book published during his life. Three years later, Schelling married one of her closest friends, Pauline Gotter, in whom he found a faithful companion. Public attention was powerfully attracted by these vague hints of a new system which promised something more positive, especially in its treatment of religion, than the apparent results of Hegel's teaching. The appearance of critical writings by David Friedrich Strauss, Ludwig Feuerbach, and Bruno Bauer, and the evident disunion in the Hegelian school itself, express a growing alienation from the then dominant philosophy. In Berlin, the headquarters of the Hegelians, this found expression in attempts to obtain officially from Schelling a treatment of the new system which he was understood to have in reserve. The realization of the desire did not come about till 1841, when the appointment of Schelling as Prussian privy councillor and member of the Berlin Academy, gave him the right, a right he was requested to exercise, to deliver lectures in the university. Among those in attendance at his lectures were Søren Kierkegaard (who said Schelling talked "quite insufferable nonsense" and complained that he did not end his lectures on time), Mikhail Bakunin (who called them "interesting but rather insignificant"), Jacob Burckhardt, Alexander von Humboldt (who never accepted Schelling's natural philosophy), and Friedrich Engels (who, as a partisan of Hegel, attended to "shield the great man's grave from abuse"). The opening lecture of his course was listened to by a large and appreciative audience. The enmity of his old foe, H. E. G. Paulus, sharpened by Schelling's apparent success, led to the surreptitious publication of a verbatim report of the lectures on the philosophy of revelation, and, as Schelling did not succeed in obtaining legal condemnation and suppression of this piracy, he in 1845 ceased the delivery of any public courses. Slavoj Zizek is one example of a contemporary philosophers influenced by Schelling's philosophy. In 1955 Jaspers published a book titled Schelling, representing him as a forerunner of the existentialists. Walter Schulz, one of organizers of the 1954 conference, published a book claiming that Schelling had made German idealism complete with his late philosophy, particularly with his Berlin lectures in the 1840s. Schulz presented Schelling as the person who resolved the philosophical problems which Hegel had left incomplete, in contrast to the contemporary idea that Schelling had been surpassed by Hegel much earlier. Theologian Paul Tillich wrote: "what I learned from Schelling became determinative of my own philosophical and theological development". Maurice Merleau-Ponty likened his own project of natural ontology to Schelling's in his 1957–58 Course on Nature. In the 1970s nature was again of interest to philosophers in relation to environmental issues. Schelling's philosophy of nature, particularly his intention to construct a program which covers both nature and the intellectual life in a single system and method, and restore nature as a central theme of philosophy, has been reevaluated in the contemporary context. His influence and relation to the German art scene, particularly to Romantic literature and visual art, has been an interest since the late 1960s, from Philipp Otto Runge to Gerhard Richter and Joseph Beuys. This interest has been revived in recent years through the work of the environmental philosopher Arran Gare who has identified a tradition of Schellingian science overcoming the opposition between science and the humanities, and offering the basis for an understanding of ecological science and ecological philosophy. Abhandlung zur Erläuterung des Idealismus der Wissenschaftslehre (1796). Translated as Treatise Explicatory of the Idealism in the 'Science of Knowledge' in Thomas Pfau, Idealism and the Endgame of Theory, Albany: SUNY Press (1994). On the Relationship of the Philosophy of Nature to Philosophy in General (1802). Translated by George di Giovanni and H.S. Harris in Between Kant and Hegel, Albany: SUNY Press (1985). Ideas on a Philosophy of Nature as an Introduction to the Study of This Science (Second edition, 1803). Translated by Priscilla Hayden-Roy in Philosophy of German Idealism, New York: Continuum (1987). System der gesamten Philosophie und der Naturphilosophie insbesondere (Nachlass) (1804). Translated as System of Philosophy in General and of the Philosophy of Nature in Particular in Thomas Pfau, Idealism and the Endgame of Theory, Albany: SUNY Press (1994). Stuttgart Seminars (1810), translated by Thomas Pfau in Idealism and the Endgame of Theory, Albany: SUNY Press (1994). ^ Nectarios G. Limnatis, German Idealism and the Problem of Knowledge: Kant, Fichte, Schelling, and Hegel, Springer, 2008, pp. 166, 177. ^ Frederick Beiser, German Idealism: The Struggle Against Subjectivism, 1781-1801, Harvard University Press, 2002, p. 470. ^ Frederick Beiser, German Idealism: The Struggle Against Subjectivism, 1781-1801, Harvard University Press, 2002, p. 483. ^ Joel Harter, Coleridge's Philosophy of Faith: Symbol, Allegory, and Hermeneutics, Mohr Siebeck, 2011, p. 91. ^ The term absoluter Idealismus occurs for the first time in Schelling's Ideen zu einer Philosophie der Natur als Einleitung in das Studium dieser Wissenschaft (Ideas for a Philosophy of Nature: as Introduction to the Study of this Science), Vol. 1, P. Krüll, 1803 , p. 80. ^ Friedrich Wilhelm Joseph von Schelling by Saitya Brata Das in Internet Encyclopedia of Philosophy, 2011. ^ Joseph B. Maier, Judith Marcus, and Zoltán Tarrp (ed. ), German Jewry: Its History and Sociology: Selected Essays by Werner J. Cahnman, Transaction Publishers, 1989, p. 212. ^ a b Robert J. Richards, The Romantic Conception of Life: Science and Philosophy in the Age of Goethe, University of Chicago Press, 2002, p. 129. ^ a b (in German) Habermas, Jurgen (1954). Das Absolute und die Geschichte. Von der Zwiespältigkeit in Schellings Denken. Gummersbach. ^ Pinkard, Terry (2002). German Philosophy 1760-1860. The Legacy of Idealism. Cambridge University Press. p. 172. ISBN 978-0-521-66381-6. ^ Voegelin and Schelling on Freedom and the Beyond by Steven F. McGuire Das in voegelinview, April 2, 2012. ^ "Joseph - Französisch-Übersetzung - Langenscheidt Deutsch-Französisch Wörterbuch" (in German and French). Langenscheidt. Retrieved 20 October 2018. ^ Bowie, Andrew (19 July 2012). "Friedrich Wilhelm Joseph von Schelling". In Zalta, Edward N. (ed.). Stanford Encyclopedia of Philosophy. ^ Richard H. Popkin, ed. (31 December 2005). The Columbia History of Western Philosophy. Columbia University Press. p. 529. ISBN 978-0-231-10129-5. ^ a b c Adamson & Mitchell 1911, p. 316. ^ John Morley (ed. ), The Fortnightly Review, Voll. 10, 12, London: Chapman & Hall, 1870, p. 500. ^ Frederick C. Beiser, ed. (1993). The Cambridge Companion to Hegel. Cambridge University Press. p. 419. ISBN 978-1-139-82495-8. ^ History of Philosophy: From Thales to the Present Time, Volume 2, C. Scribner's Sons, 1874, p. 214. ^ The thesis is available online at the Munich Digitization Center. ^ Adamson & Mitchell 1911, p. 316–318. ^ Robert J. Richards, The Romantic Conception of Life: Science and Philosophy in the Age of Goethe (2002), p. 149. ^ Richards, p. 171 note 141. ^ Wallen, Martin (2004). City of Health, Fields of Disease: Revolutions in the Poetry, Medicine, and Philosophy of Romanticism. Ashgate Publishing, Ltd. p. 123. ISBN 978-0-7546-3542-0. ^ a b c d e f g h i j k l m Adamson & Mitchell 1911, p. 317. ^ See On the Concept of Irony with Continual Reference to Socrates by Søren Kierkegaard, 1841. ^ Lara Ostaric, Interpreting Schelling: Critical Essays, Cambridge University Press, 2014, p. 218. ^ Nicolaas A. Rupke, Alexander von Humboldt: A Metabiography, University of Chicago Press, p. 116. ^ Tristram Hunt, Marx's General: The Revolutionary Life of Friedrich Engels (Henry Holt and Co., 2009: ISBN 0-8050-8025-2), pp. 45–46. ^ a b Adamson & Mitchell 1911, p. 319. ^ Crites, Stephen (1 November 2010) . Dialectic and Gospel in the Development of Hegel's Thinking. Penn State Press. p. 62. ISBN 978-0-271-04386-9. ^ John Laughland, Schelling Versus Hegel: From German Idealism to Christian Metaphysics (Ashgate Publishing, Ltd., 2007: ISBN 0-7546-6118-0), p. 119. ^ Christopher John Murray, Encyclopedia of the Romantic Era, 1760-1850 (Taylor & Francis, 2004: ISBN 1-57958-422-5), pp. 1001–02. ^ "The briefest and best account in Schelling himself of Naturphilosophie is that contained in the Einleitung zu dem Ersten Entwurf (S.W. iii.). A full and lucid statement of Naturphilosophie is that given by K. Fischer in his Gesch. d. n. Phil., vi. 433-692" (Adamson & Mitchell 1911, p. 318). ^ Bowie, Andrew (1990). Aesthetics and Subjectivity. From Kant to Nietzsche. Manchester University Press. p. 89. ISBN 978-0-719-04011-5. ^ Paul Tillich, A History of Christian Thought 438 Simon and Schuster, 1972. ^ Gare, Arran (2013). "Overcoming the Newtonian paradigm: The unfinished project of theoretical biology from a Schellingian perspective". Progress in Biophysics and Molecular Biology. 113 (1): 5–24. doi:10.1016/j.pbiomolbio.2013.03.002. PMID 23562477. ^ Žižek, Slavoj (1996). The indivisible remainder: An essay on Schelling and related matters. London: Verso. ISBN 978-1-859-84094-8. ^ Žižek, Slavoj (2009). The parallax view (1st paperback ed.). Cambridge, Mass. : MIT. ISBN 978-0-26251268-8. ^ Braidotti, Rosi (2014). After Poststructuralism. Transitions and Transformations. Abingdon-on-Thames: Routledge. p. 105. ISBN 978-1-317-54681-8. ^ Distaso, Leonardo V. (2004). The Paradox of Existence. Philosophy and Aesthetics in the Young Schelling. Springer Science+Business Media. p. 7. ISBN 978-1-402-02490-0. ^ Pagano, Maurizio (2007). "Introduction. The Confrontation between Religious and Secular Thought" (PDF). In Benso, Silvia; Schroeder, Brian (eds.). Contemporary Italian Philosophy. Crossing the Borders of Ethics, Politics, and Religion. Albany, New York: SUNY Press. pp. 8–9. ISBN 978-0-791-47135-7. ^ See Ken Wilber's A Brief History of Everything (1996), chap. 17 (pp. 297–308). ^ For a more complete listing, see Stanford bibliography. ^ Available on Google Books. ^ Adamson & Mitchell 1911, p. 317 fn. 1. This article incorporates text from a publication now in the public domain: Adamson, Robert; Mitchell, John Malcolm (1911). "Schelling, Friedrich Wilhelm Joseph von" . In Chisholm, Hugh (ed.). Encyclopædia Britannica. 24 (11th ed.). Cambridge University Press. pp. 316–319. Bowie, Andrew (1993). Schelling and Modern European Philosophy: an Introduction. New York: Routledge. ISBN 978-0-415756-35-8. Gare, Arran (2011). "From Kant to Schelling and Process Metaphysics". Cosmos and History: The Journal of Natural and Social Philosophy. 7 (2): 26–69. Grant, Iain Hamilton (2008). Philosophies of Nature after Schelling. New York: Bloomsbury Academic. ISBN 978-1-847064-32-5. Hendrix, John Shannon (2005). Aesthetics & the Philosophy of Spirit: From Plotinus to Schelling and Hegel. New York: Peter Lang. ISBN 978-0-820476-32-2. Wirth, Jason M. (2005). Schelling Now: Contemporary Readings. Bloomington, Ind. : Indiana University Press. ISBN 978-0-253217-00-4. Žižek, Slavoj (1996). The Indivisible Remainder: an Essay on Schelling and Related Matters. London: Verso. ISBN 978-1-859849-59-0. Martin Arndt (1995). "Schelling, Friedrich Wilhelm (von) Joseph". In Bautz, Traugott (ed.). Biographisch-Bibliographisches Kirchenlexikon (BBKL) (in German). 9. Herzberg: Bautz. cols. 104–138. ISBN 3-88309-058-1. Watson, John, 1847–1939, 1882 Schelling's Transcendental Idealism. 1882. Retrieved 28 September 2010. Böhme, Traugott (1920). "Schelling, Friedrich Wilhelm Joseph von" . Encyclopedia Americana.